Every week, win or lose, three San Diego Fleet players will be featured in this piece. 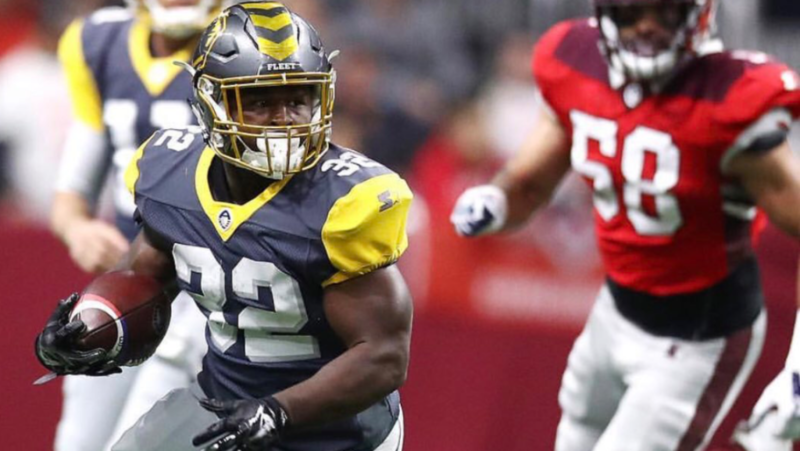 This week, it turns out to be a loss for the Fleet as the San Antonio Commanders defeated San Diego 15-6 in a defensive slugfest. It wasn’t always pretty, but some parts of the Fleet’s game surprised me on Saturday. The Fleet were really good on special teams, making both of their field goals and playing really well on punts, putting the Commanders inside their 25-yard line four times. It really helped them in the field position battle. The running game, albeit used sparingly, was also really good. San Diego only ran the ball 16 times and gained 99 yards. They averaged 6.2 yards per carry and didn’t lose a single yard rushing the ball. Martz underutilized his teams’ ability to run. The defensive front four also played well. They had three total sacks and were in Logan Woodside’s face all day. The unit was one of the main reasons that the Fleet’s three turnovers didn’t result in more points for San Antonio. The Three Star system I am using in this weekly piece is pretty simple. I select who I believe are the three best performers from the game, and rank them accordingly. 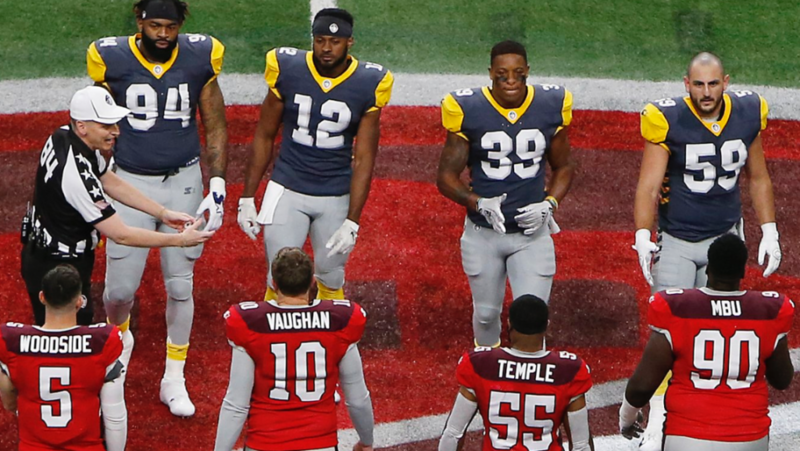 Three Stars equals third best, Two Stars equals second, and One Star equals the best performer of the day for the San Diego Fleet. Win or lose, there are always Three Stars awarded to the players. Probably the most underrated performer of the day. He put two punts inside the 10-yard line, and one more inside the 20. A lot of the time, his performance would be overlooked. As a result of the teams play, he kept a lot of points off the board. The field position battle was won by the Fleet, even if they lost the game. His play helped keep the Fleet in the game early and often. Underused. That’s the only word I have to describe Gardner’s night. After having several positive runs during a second-quarter drive, he just didn’t seem to be apart of Mike Martz’s game plan. His flashes were too good to ignore. He only had eight carries, but had 55 yards and averaged 6.9 yards per carry. He also had two receptions for 17 yards. He showed great quickness in the open field and an ability to catch the football out of the backfield throughout the game. If Martz finds a way to include him in the offense in the future, the Fleet might be able to eliminate some of the pressure that is being placed on his quarterback. These two guys played well together. Moore one and a half total sacks and five tackles. He was also in San Antonio’s QB Logan Woodside’s face all day. He had about seven total pressures and was an influence on the Ryan Moeller interception. He was also constantly a factor in the run, totaling five tackles. He was the best Fleet player on the defensive side of the ball the whole game and I would expect more of that throughout the season. His ability to be a catalyst for this defense could lead the Fleet to have a surprisingly good defense.